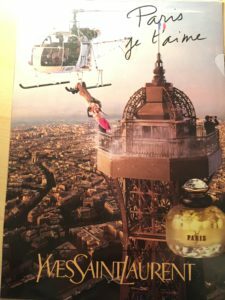 Before you get to meet another fantastic French learner, I want to share with you a very interesting article. It is when you start receiving a lot of input in another language. In fact, you are “receiving so much input that a din of target language develops in your head.” This is what explains Latin teacher, Lance Piantaggi in his blog post entitled Dinput (not a typo). I experienced the same phenomenon when I was living in Spain constantly hearing people speaking Spanish around me. At one point, I was dreaming in Spanish! What about you? Have you experienced Dinput? Let me know in the comments below. Today, we travel to France, to beautiful Versailles where my learner lives and studies at the famous ISIPCA, l’Institut supérieur international du parfum, de la cosmétique et de l’aromatique alimentaire. You can read a short article about this special school founded by Jean-Jacques Guerlain in 1970. 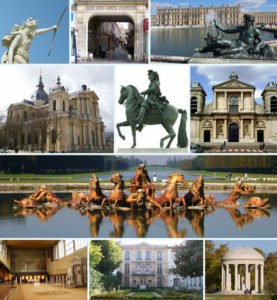 La ville de Versailles, à côté de Paris. My special learner is from China and I met her via Verbling last summer. Since then she has moved to Versailles to become un nez, a nose or perfume tester. She has made amazing progress in French and went from complete beginner in July to now intermediate level. She can understand a lot and she can even talk about a perfume poster. Our most entertaining story is about a wife who does not have enough space in her fridge because her husband fills it with beers. We entitled the story ” Trop de bières ! “. I am learning French and Japanese. I have learned English. Because I moved to France. Hahahah, it was all very sudden, out of my love towards perfume, that’s why I came to France. Later I found out that I would enjoy France so much more if I am able to speak the language. That’s my motive. For how long have you been learning French? I would say about half a year now. However not studying in a routine but more casually (I know that’s my excuse of not trying hard enough). How come did you end up with me? I saw your introduction video on Verbling and I decided to learn French with you. I believe that learning a language naturally is the best way to command a language. I love the stories that we developed because they allowed me to put lots of personal emotions into them, and it turns out I remember better that way. Also, I like your course is flexible that you could adapt to my needs, such as the time we talked about the perfumery poster, it was really fun ! I feel so ashamed about the French routine I stick to. Because of my busy schedule I wouldn’t be able to review French every day, but I have been trying to manage at least 4 hours per week. And I definitely need to be more active on learning the language this year !!! Usually I will go over and review our class first. I will then go through the materials you send me. I usually watch YouTube videos and try to learn extra verbs… I’m currently looking into some perfumery related vocabulary or sentences, simply I’m very interested in that area hahahhh! And I hope you can help me more with that later in class too. 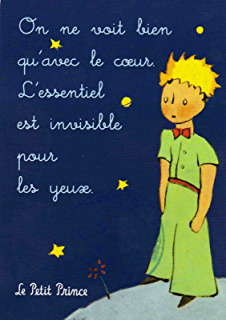 The Little Prince is so popular in China, so I will quote a sentence from there: ” On ne voit bien qu’avec le coeur. L’essentiel est invisible pour les yeux. ” (We only see well with the heart. The essential is invisible for the eyes). Athena is such a risk taker! I hope she motivates you to hop on the French journey! The third episode of the new season of Le Français naturellement is about Marie, l’artiste. Find out about her magical past! L’histoire du dimanche, Sunday story is about a typical French birthday party. Listen to me reading Petit Lapin Blanc fête son anniversaire, Little White Rabbit celebrates his birthday by Marie-France Floury & Fabienne Boisnard. 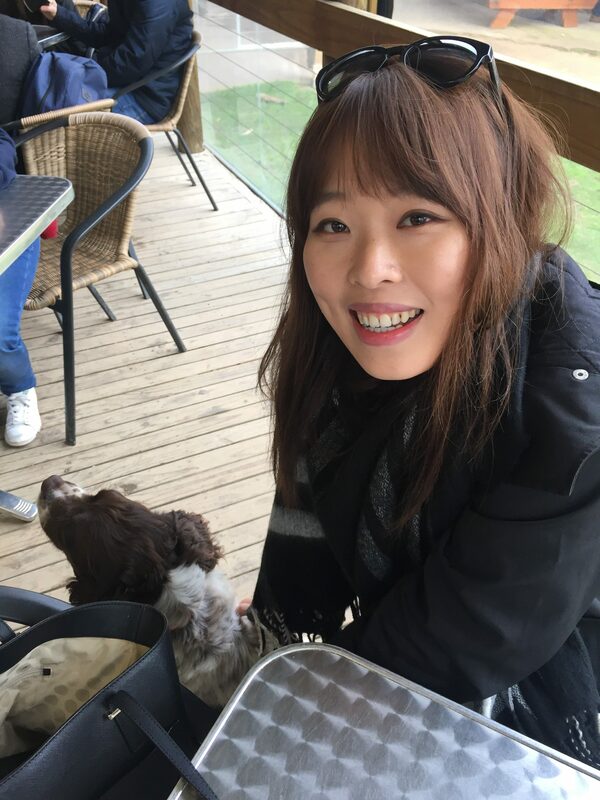 < French the natural way: meet a polyglot!